* Editorial programme and deadlines subject to change. Each issue of Reinforced Plastics magazine also contains applications, business and technology news, and events calendar. For further information about the editorial content of the magazine please contact the Editor, Amanda Jacob. To request a copy of our 2011 media pack please contact our sales team. 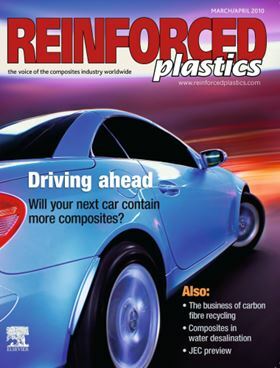 We welcome press releases about news of relevance to the composites industry. Please send press releases to RP@elsevier.com. Boat manufacturers in the U.S. have enjoyed several growth years and are taking a new look at new fabricating techniques.